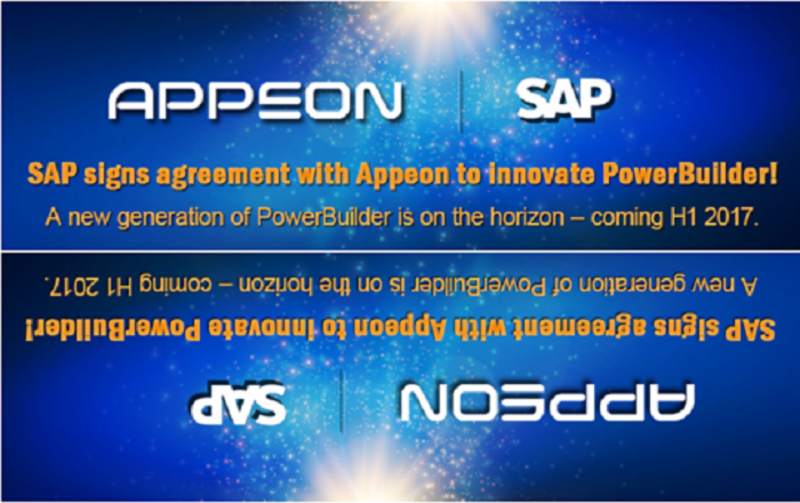 Appeon e SAP hanno firmato un accordo per lo sviluppo di PowerBuilder (compreso InfoMaker). Appeon sarà responsabile dello sviluppo, della vendita e del supporto della propria offerta che fa leva sulla tecnologia PowerBuilder, il cui nome sarà Appeon PowerBuilder. Appeon has major innovations planned from mobile and cloud deployment to test-driven development and continuous integration, and plans to release its new version of PowerBuilder in the first-half of 2017. Although major changes are expected, Appeon plans to retain the DNA of PowerBuilder and build upon its strengths. 1. Will existing SAP customers receive Appeon’s new release? Appeon and SAP have decided to offer two distinct product lines even though both are based on a fork of PowerBuilder 12.6. SAP customers on active maintenance will only be entitled to EBFs and tech support from SAP. However, SAP and Appeon have worked closely together to come up with very attractive pricing to help SAP customer upgrade to Appeon’s PowerBuilder version. In addition, Appeon will be running a special promotion for customers that reserve their copy of PowerBuilder ahead of time. For more details please register for the Webcast on July 28, 2016. 2. How will Appeon price PowerBuilder in the future? The future pricing of PowerBuilder will be more affordable and simpler than in the past. Details will be announced in a webcast by Appeon. 3. When will SAP stop supporting PowerBuilder 12.6? Please check the SAP Product Availability Matrix. 4. When will Appeon release a new version of PowerBuilder? Appeon has currently scheduled to release a new version of PowerBuilder in the first-half of 2017. 5. What will the new version of PowerBuilder be called? The next release of PowerBuilder will be called Appeon PowerBuilder 2017. Depending on the level and nature of changes to the product, future versions will either have a revision denotation (e.g. PowerBuilder 2017 R2) or an updated date version (e.g. PowerBuilder 2018). Patches and maintenance releases (MRs) will have an updated build number. 6. What will be the new features of PowerBuilder 2017? The major new features for the first release are Windows 10 compatibility and updated database drivers, mobile deployment to iOS and Android, native PDF printing, RichTextEdit enhancements, and a new simpler licensing mechanism. We strongly encourage you to watch the high-level roadmap Webinar recording to get a better understanding of these features as well as the roadmap in general. 7. What will the upgrade/migration process be like? Appeon’s PowerBuilder 2017 shares the DNA of SAP’s PowerBuilder 12.6. As such, the process of upgrading from PowerBuilder 12.6 to 2017 should be relatively seamless. For customers on older versions the process of upgrading to PowerBuilder 2017 should be similar to upgrading to PowerBuilder 12.6. We intend to make Appeon PowerBuilder 2017 substantially backwards compatible with at least SAP PowerBuilder 12.x. 8. Who do I go to for tech support (including licensing issues)? SAP PowerBuilder 12.6 customers will be serviced by SAP and Appeon PowerBuilder 2017 customers will be serviced by Appeon. 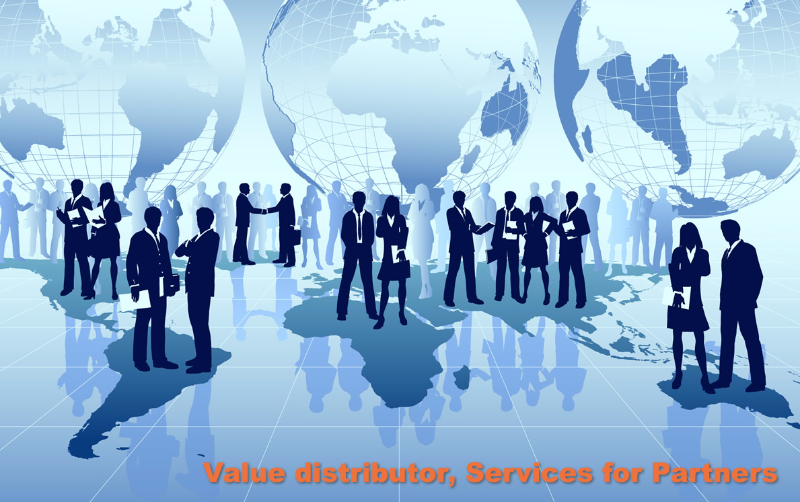 In certain regions, SAP and/or Appeon may engage localization partners to provide tech support services in local language. Please note that Appeon will not be able to provide any patches or tech support for SAP’s PowerBuilder 12.x. Appeon plans to release its new version of PowerBuilder in the first-half of 2017. Register the Webcast now to understand our plans for the future. The future of PowerBuilder Webinar series shares important information about our plans, and you get the opportunity to interact with us live. There are only limited slots available on a first-come basis on the day of the Webinar so please don’t be late! Description: Clarifies important details about the first new release of PowerBuilder by Appeon. Topics covered include scheduled release date, details about new features, new licensing mechanism, and source code upgrade process. Updates the PowerBuilder community on the status of PowerBuilder, and shares Appeon’s vision for the future direction of the product. Introduces the runtime and deployment architecture of future PowerBuilder apps. Explains how PowerBuilder will be used to maintain existing 2-tier apps, migrate to the cloud or C#, and develop new mobile apps. Provides the priority of major changes planned for PowerBuilder over the next several years, which includes general timelines and key features for each major phase. Also, other topics related to release management will be discussed, such as release cycles, beta programs, and feature request process. Comunicato stampa SAP, Comunicato Appeon. Ai sensi del Testo Unico D. L. 196/2003 e recante disposizione a tutela delle persone e di altri soggetti rispetto al trattamento dei dati personali, si informa che i dati, sopraindicati, (disponibile qui) possono essere trattati in Italia e all’estero dai Responsabili e dagli incaricati appositamente individuati. Il titolare del trattamento è Software Products Italia con sede a Sesto Fiorentino, in Via Arno, 108 50019 Firenze. Il Responsabile per il riscontro all’interessato per l’esercizio dei diritti garantiti in Software Products Italia è Software Products Italia, e-mail: privacy@softpi.it. Il conferimento dei dati e il consenso al relativo trattamento sono facoltativi ma rappresentano condizione necessaria al fine dell’adempimento delle attività sovrascritte.